The Auld Manse Guest House is a traditional Victorian House situated a short walk from Perth city centre. 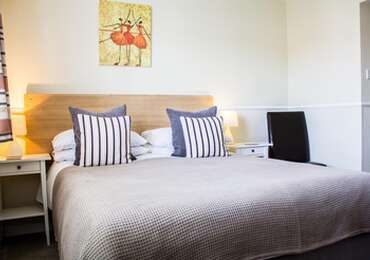 We offer affordable and comfortable accommodation with all rooms having en suite or private facilities. Start your day with a full Scottish breakfast or perhaps you would prefer something a little lighter. Special dietary requirements can be catered for. For those travelling by car, off-street parking is available. Alternatively, unrestricted on-street parking is available close by. Situated in the heart of Scotland, there's never been a better time to visit this beautiful city. Perth, made a Royal Burgh in 1210, has spent 2010 celebrating its 800th anniversary . Full of magnificent cultural and heritage landmarks, the city is also home to great restaurants, fantastic shops and state of the art leisure and sport facilities. Easily accessible by car, train or bus, Perth really is a treat for the senses. Scone Palace and the Black Watch Musuem are two examples of visitor attractions nearby. Golf courses and beautiful walks complete your Perth experience. 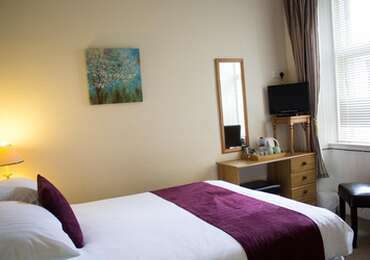 Firs floor large Single room with an en-suite shower. Room is located at the back of the property. 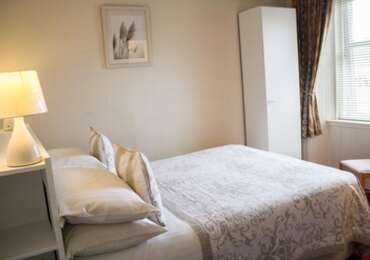 Ground floor large Single room with built-in wardrobe and en-suite shower. Spacious first floor double en suite located at the back of the guest house with sofa.